Babies are the cutest creation of God. Innocent, soft, affectionate, they can make anybody dote over them in seconds. As a mother to a 5 month old, my life revolves around trying to give the best to my child. A very important aspect of child care is maintaining the soft skin that babies are born with. Who doesn't love cuddling a baby, for the very feel of the softness invokes affection. No matter how tall claims advertisements make, I prefer staying away from chemicals and sticking to natural products for my baby. Baby's immune system is very delicate and one incompatible chemical can create havoc on on the baby's skin. Try using non fragrant, mild products and ensure to read through the ingredients even in baby friendly products. Like most newborns, my son too fell prey to Jaundice 2 days after his birth. While doctors advised us to take him out in the sun, I was very skeptical as his soft skin was not ready to face the sun. Since I had no option, I used to take him in the morning sun for small duration. Exposure to sun robs baby's skin of essential moisture and is very harsh as well. One should avoid direct exposure to sunlight for babies. I know elders advocate exposure in the sun post massage but try as much as possible to avoid the afternoon sun. Also, avoid using any sunscreen lotions on babies. Yes, the age old tradition of a good massage works wonders on baby's skin. Nowadays the market is flooded with massage oils claiming to nourish and nurture our little ones, but before taking your pic, ensure to read through the labels carefully for ingredients. I prefer natural oils for my baby. A good massage before shower and the baby is refreshed and so is his skin. Choosing the right clothes for your baby is one of the most important aspects of skincare. For a country like India, which has more or less tropical climate, cotton works best for keeping the baby's skin soft. So no matter how chic that synthetic party dress looks, always go for the dress your child is comfortable in. Not only does a breathable fabric avoid rashes and skin allergies, it also keeps babies relaxed and happy and who doesn't love a happy baby! Skincare in babies isn't rocket science. 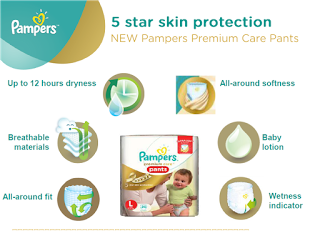 Understanding your baby's skin and taking basic precautions can keep babies comfortable. Comfortable babies are happy babies and there is nothing more beautiful in this world than a happy and healthy baby.